The UK insurer’s shares fell 10 pct after it warned of bulky claims from freezing and scorching temperatures. Another spell of bad weather could make things worse. Investors who’d been expecting a special dividend are braced for disappointment. A sign of RSA insurance company is pictured outside its office in London December 13, 2013. RSA Insurance on Sept. 28 reported a small rise in net written premiums for the year so far, but said higher losses in Britain led to a “disappointing” third quarter. The British insurer said its UK and London market business made an underwriting loss of about 70 million pounds in the third quarter due to bad weather, large losses and claims. RSA said its marine business was the hardest hit in the United Kingdom. The UK has endured volatile weather in 2018, with the hottest summer in recent years following a blast of icy weather earlier in the year. RSA said its solvency ratio – a closely watched measure of financial strength that measures a company’s ability to meet its obligations – is expected to be around 172 percent, compared with 163 percent at the end of 2017. The company said group net written premiums had risen about 1 percent in the year to date to 4.9 billion pounds at constant exchange rates, but were down 2 percent at a headline level. 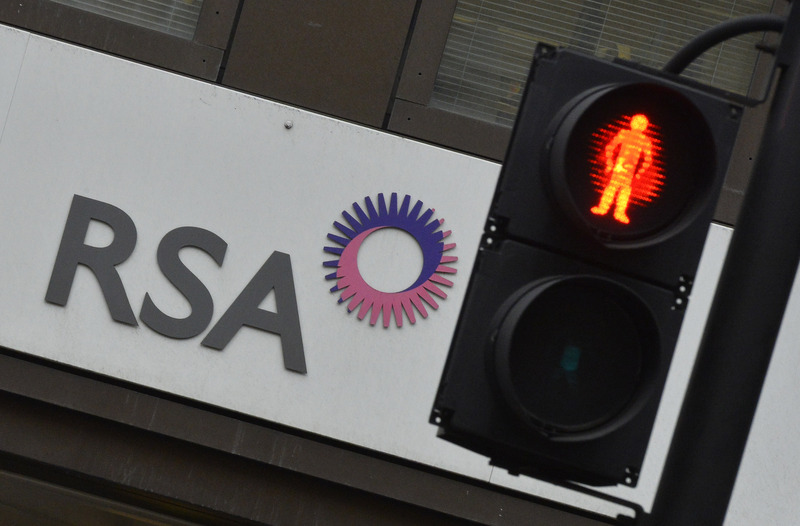 RSA shares were down over 9 percent to 575 pence at 1342 GMT on Sept. 28.